Earlier today the latest issue for Entertainment Weekly was revealed to be a special preview for this months upcoming Comic-Con, and on the cover? Yup. 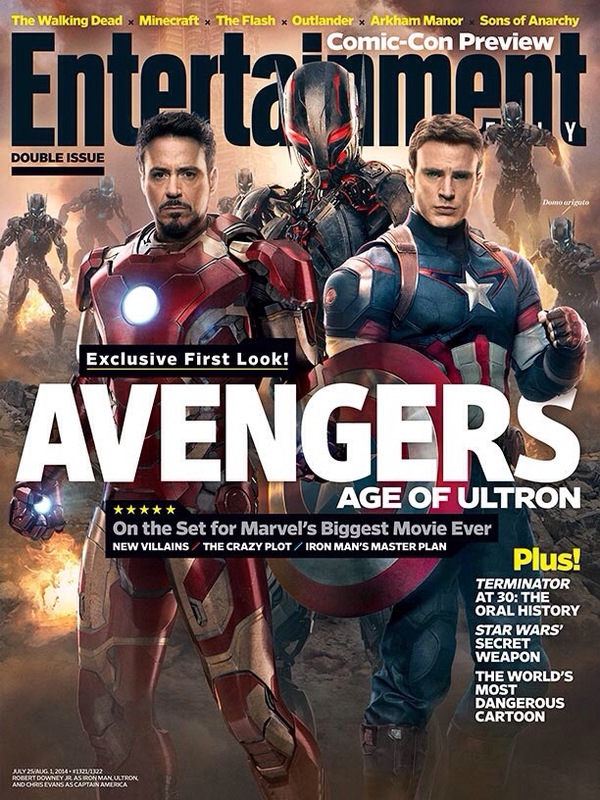 Our first official look at Age of Ultron, with the titular villain back and center. 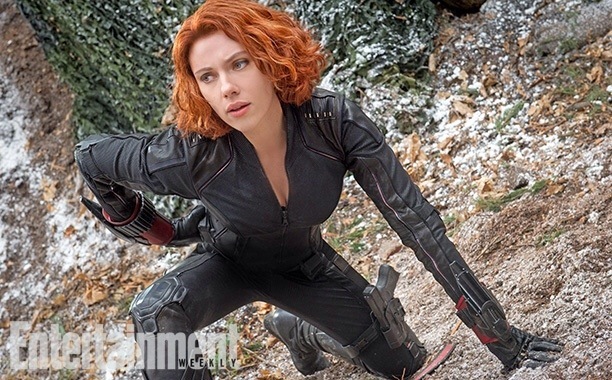 Afterwards EW released the first official stills. Nothing groundbreaking or terribly interesting. Marvel is keeping all of its cards close to their chest on this one, but they’re worth a conciliatory glance for those itching Marvel fanboys out there. So check them out below. Minor adjunctive commentary on my end. 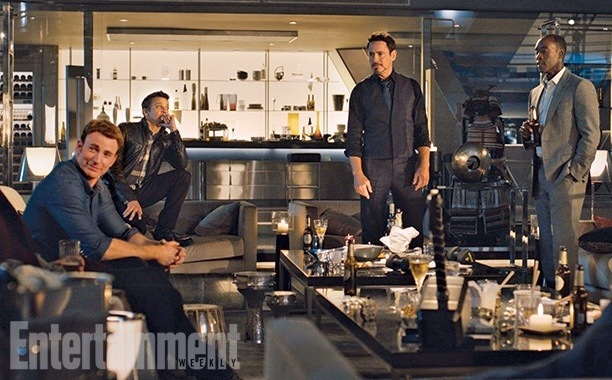 This is most likely a behind the scenes shot, and a staged one at that. 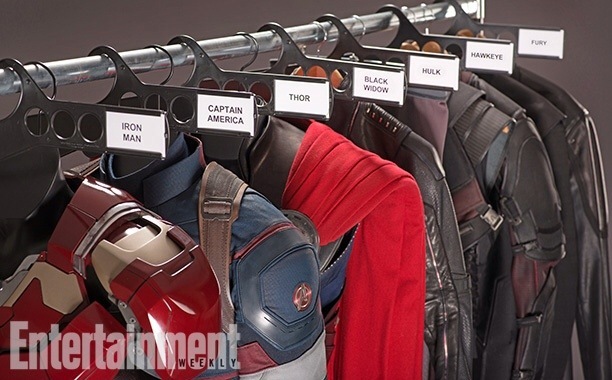 I don’t find it believable that the actors’ costumes would all be lined up like that realistically, as I’m sure each would have their own clothing rack and changing room. But it’s cute. I actually wouldn’t put it past Tony Stark to put this clothing rack up for quick giggle from the audience. If you look closely, you’ll see the Hulk’s purple stretchy shorts. 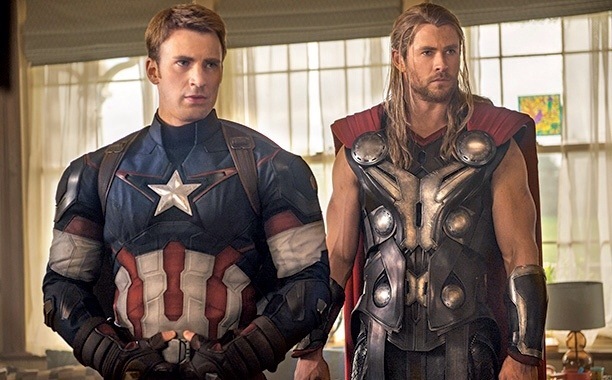 Cap and Thor looking pensive, probably being briefed. They appear to be in a domestic home. Probably lying low? Fury’s new residence? 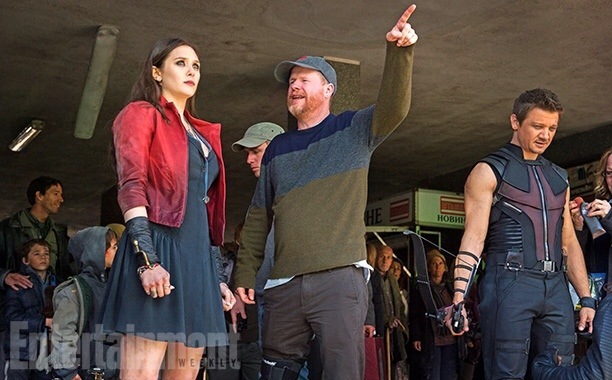 Joss Whedon directing Elizabeth Olsen, while Jeremy Renner preps for shooting. Although it wasn’t filmed in Russia (but in Italy), it appears the locale is supposed to be Russian. 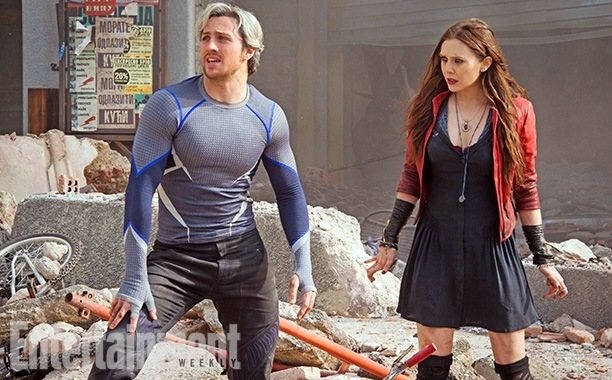 Aaron Taylor-Johnson and Elizabeth Olsen playing Quicksilver and Scarlet Witch respectively. Another set in Russia based on the Cryllic script, obviously the scene of a battle. Perhaps their first outing with the team? 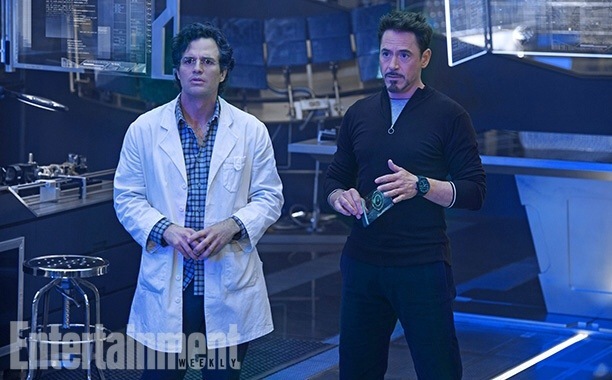 Mark Ruffalo’s Bruce Banner and Robert Downey Jr’s Tony Stark potentially considering the threat of Ultron. Scarlett Johansson squatting or something.. Taken from the forest shoot in Hawley Woods in Hampshire England most likely. 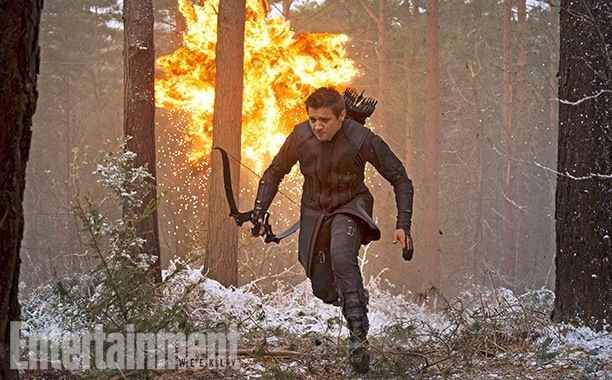 Hawkeye on the run. Also taken from the woods shoot. This one is probably the most interesting just because it’s something shot in-studio. This confirms Don Cheadle will be playing Col. James Rhodes in the Avengers sequel, and it looks like this will be a lounge-area within the Avengers Tower. 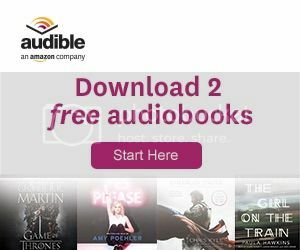 I LOVED the first one but from what I’ve been reading and I’m kinda weary of this sequel to be honest. I feel like this one might turn out to be cluttered character wise. Whedon is good at telling us information without really telling us anything substantial.